Over a 30-year period in its recent history, daily life in Northern Ireland (NI) was characterised by civil violence, colloquially termed as the ‘Troubles’. The current report examines exposure to 29 traumatic event types and the associated conditional prevalence of post-traumatic stress disorder (PTSD) among the Northern Ireland population, with a focus on the impact of traumatic events that were characteristic of the NI ‘Troubles’. Results presented are based on analysis of data from the Northern Ireland Study of Health and Stress (NISHS). The NISHS is a representative epidemiological study of mental health among the NI adult population (N = 4,340) and part of the World Mental Health Survey Initiative. 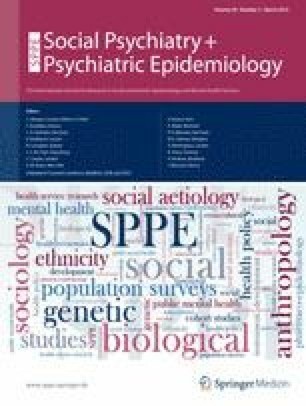 Perpetration of violence, physical assault by a spouse or partner and private events were the event types associated with the highest conditional prevalence of PTSD. Despite this elevated risk, collectively these events accounted for just 16.8 % of the overall public burden of PTSD, given their low prevalence among the general population. Events that were characteristic of civil conflict, including unexpected death of a loved one, witnessing death or a dead body or someone seriously injured and being mugged or threatened with a weapon accounted for the highest proportion of the overall public health burden of PTSD (18.6, 9.4 and 7.8 %, respectively). These findings are a feature of the higher prevalence of these events among the general population coupled with their moderate to above average risk of PTSD. Despite the formal end to conflict in NI in 1999, a substantial proportion of the adult population continue to suffer the adverse mental health effects of chronic trauma exposure. Given rates of recovery of PTSD in the absence of evidence-based treatments, it is likely that the legacy of mental ill health associated with conflict, if not adequately addressed, will endure for many years. The NISHS is carried out in conjunction with the World Health Organization World Mental Health (WMH) Survey Initiative which is supported by the National Institute of Mental Health (NIMH; R01 MH070884 and R01 MH093612-01), the John D. and Catherine T. MacArthur Foundation, the Pfizer Foundation, the US Public Health Service (R13-MH066849, R01-MH069864, and R01 DA016558), the Fogarty International Center (FIRCA R03-TW006481), the Pan American Health Organization, Eli Lilly and Company, Ortho-McNeil Pharmaceutical, GlaxoSmithKline, and Bristol-Myers Squibb. We thank the staff of the WMH Data Collection and Data Analysis Coordination Centres for assistance with instrumentation, fieldwork, and consultation on data analysis. None of the funders had any role in the design, analysis, interpretation of results, or preparation of this paper. A complete list of all within-country and cross-national WMH publications can be found at http://www.hcp.med.harvard.edu/wmh/. This study was approved by the University of Ulster Research Ethics and Governance Committee. All participants in the NISHS gave written informed consent before taking part.